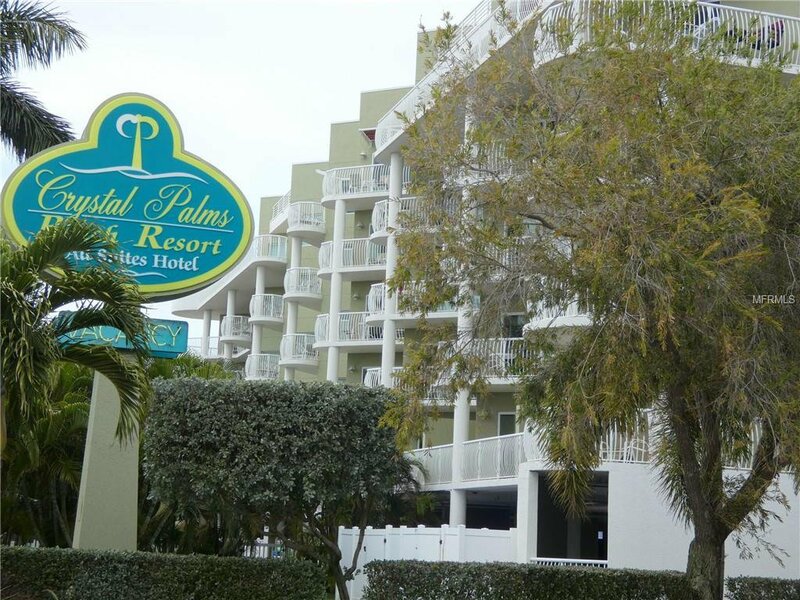 Own your piece of paradise at beautiful Crystal Palms Beach Resort, just across the street from the gorgeous beaches of Treasure Island. 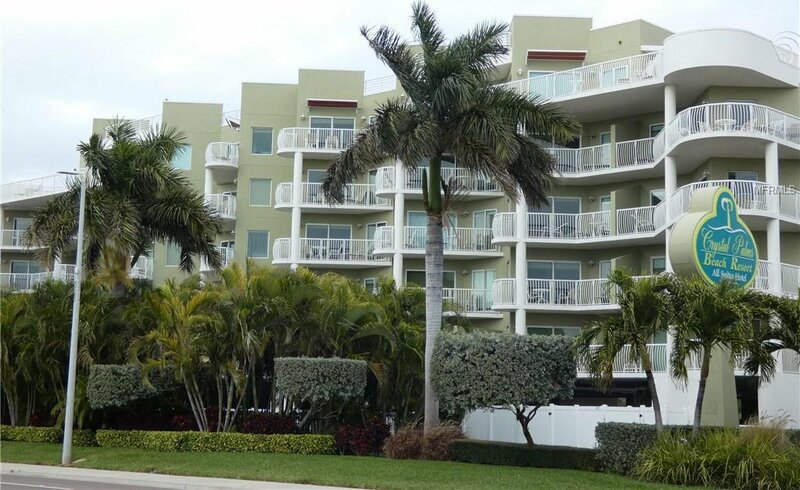 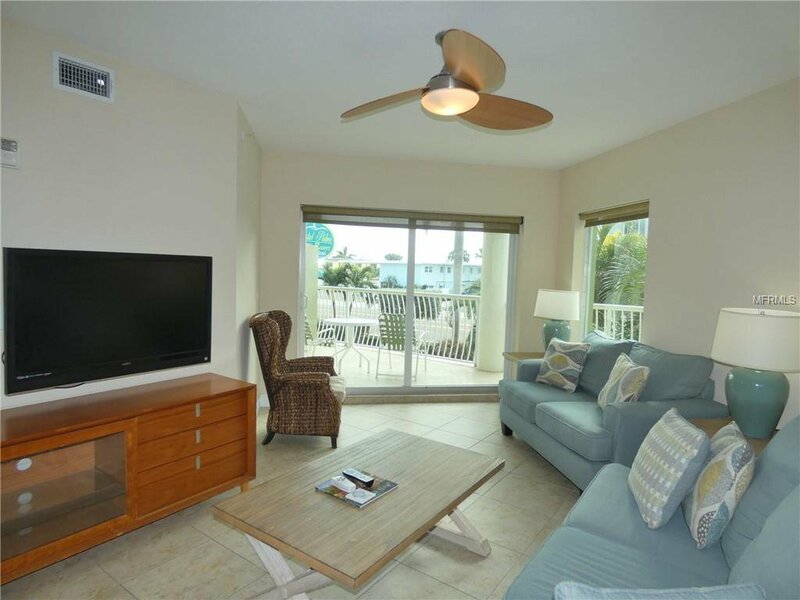 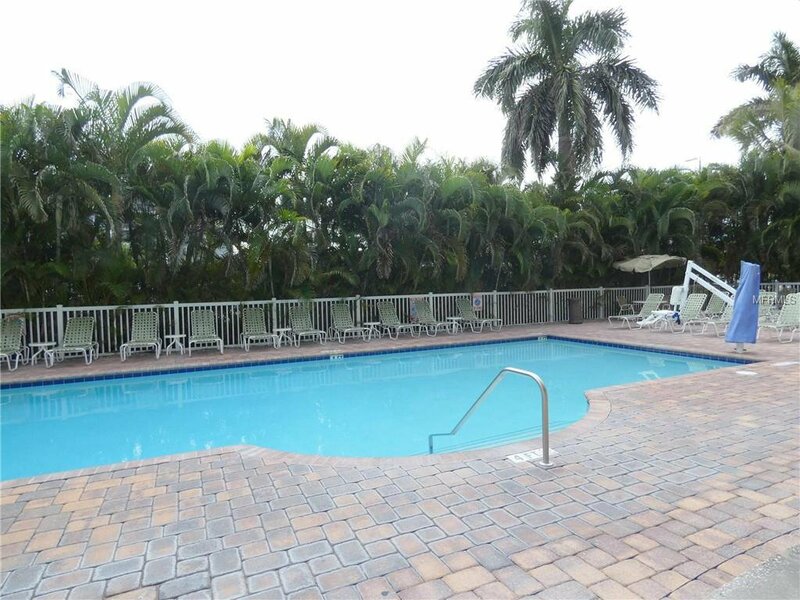 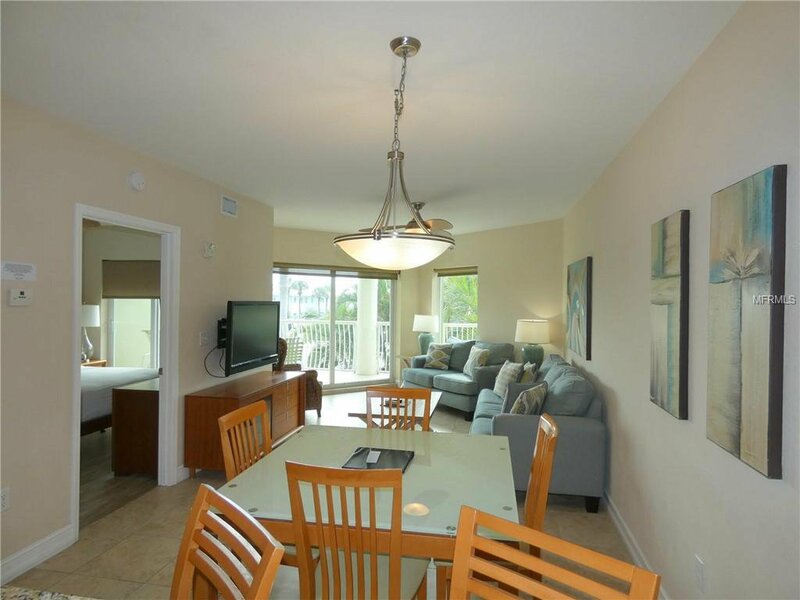 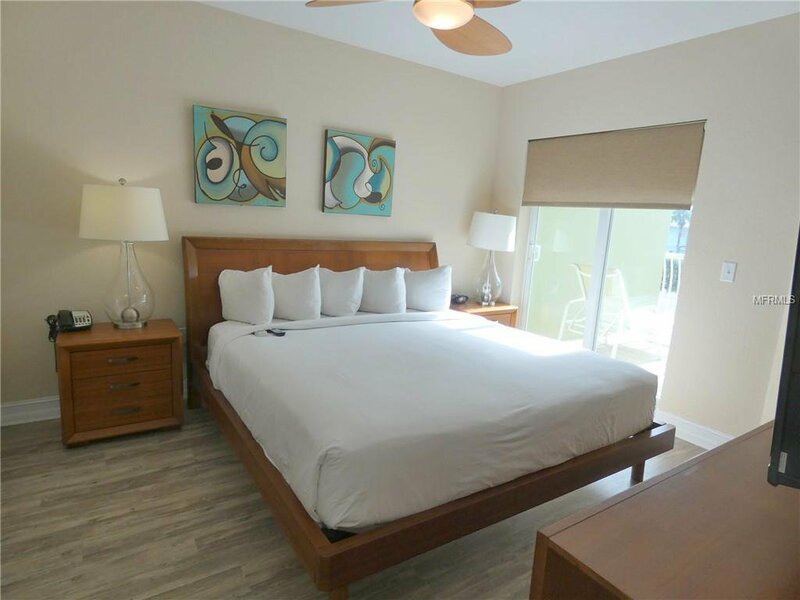 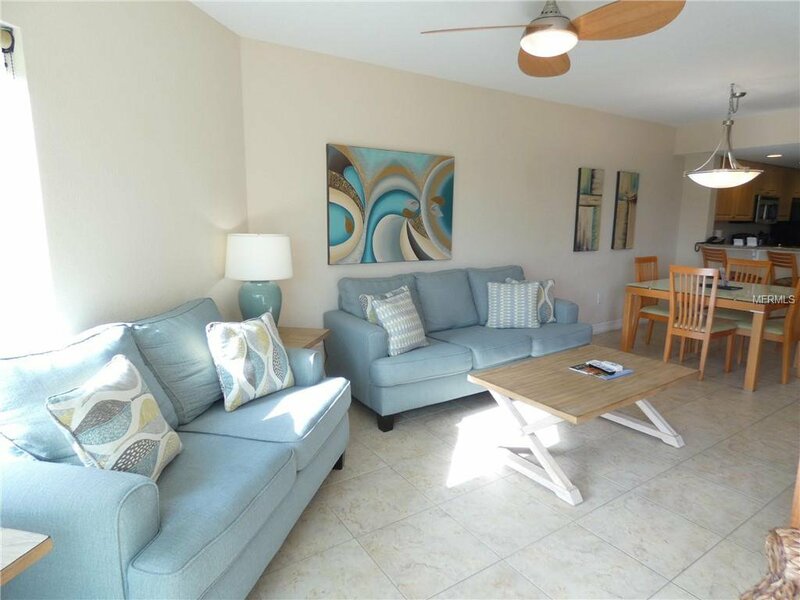 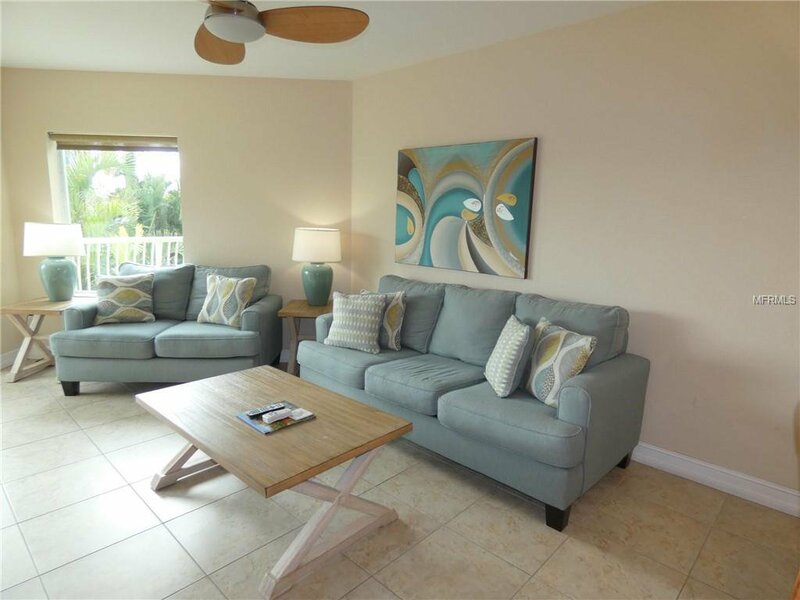 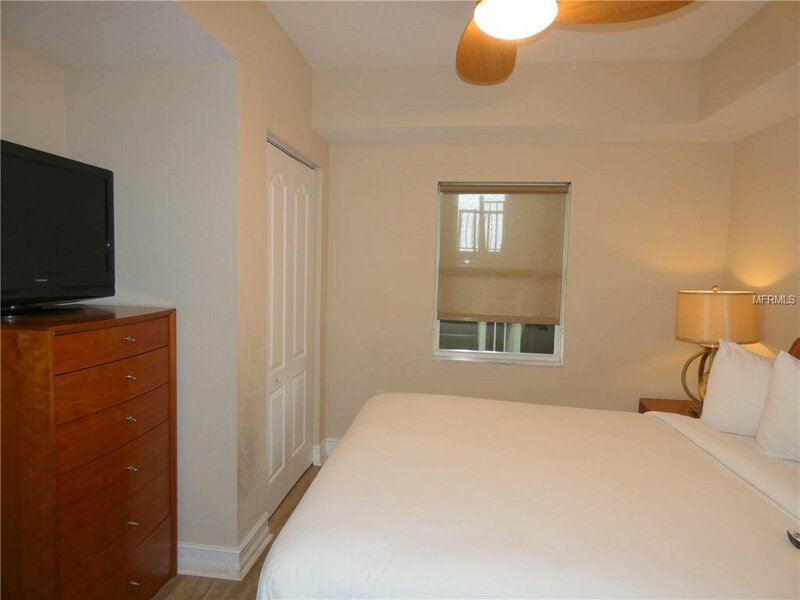 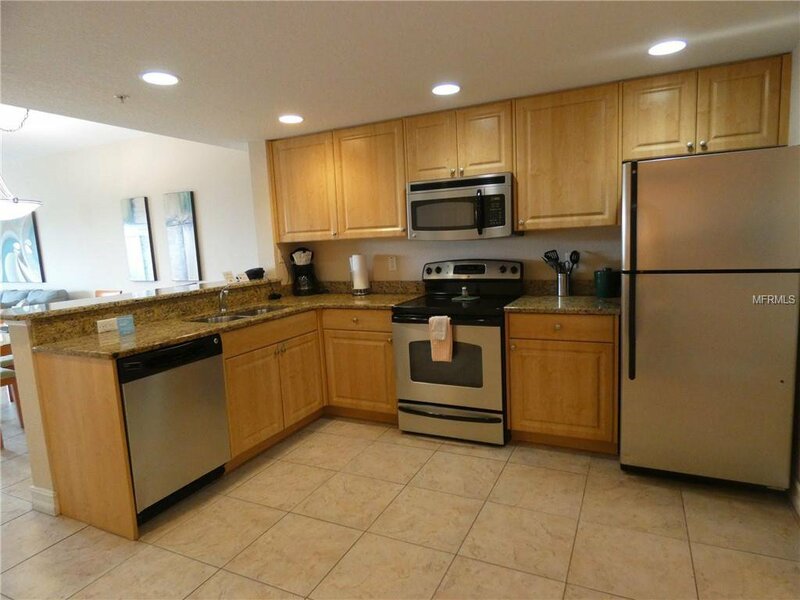 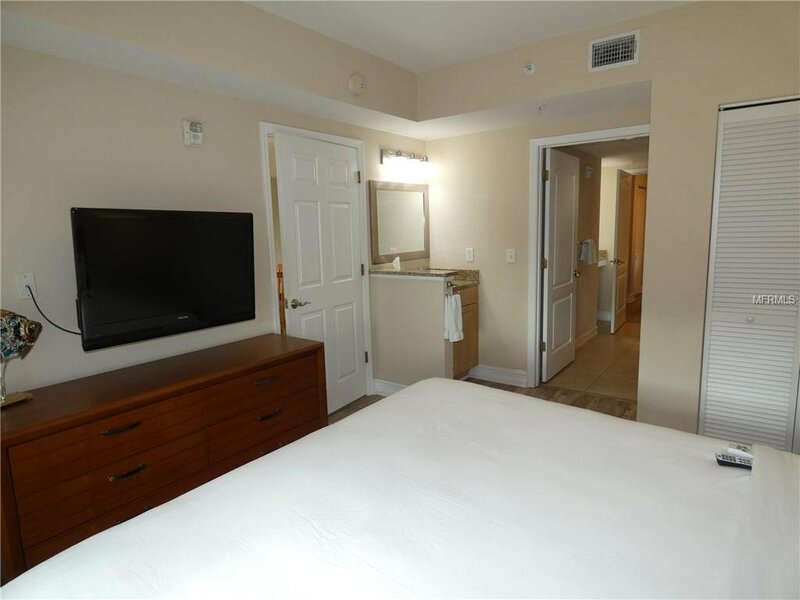 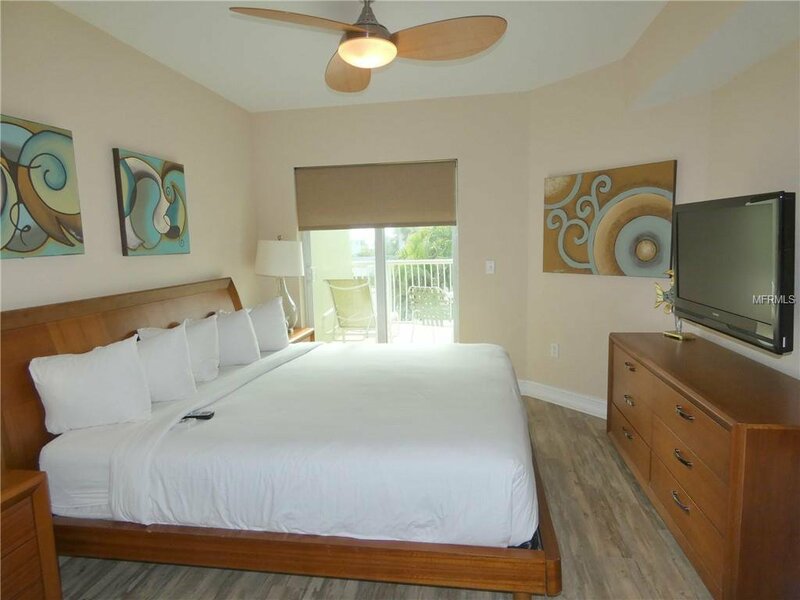 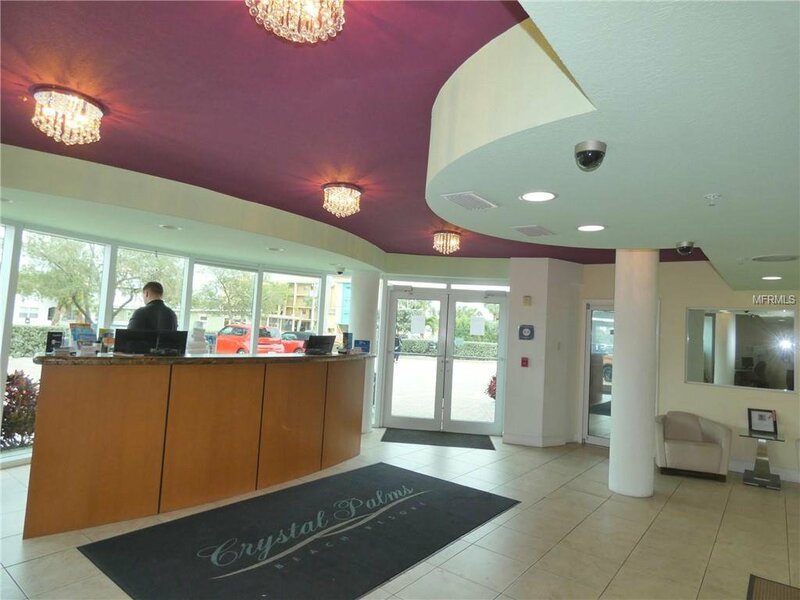 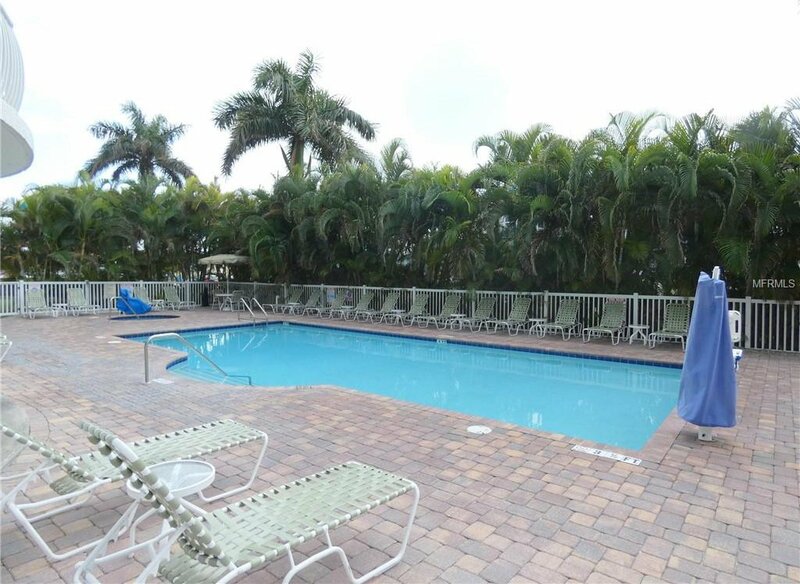 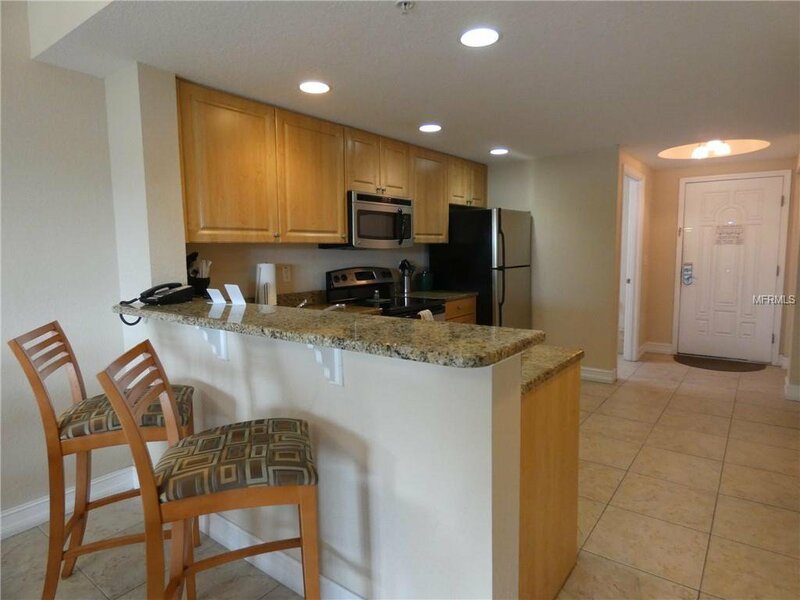 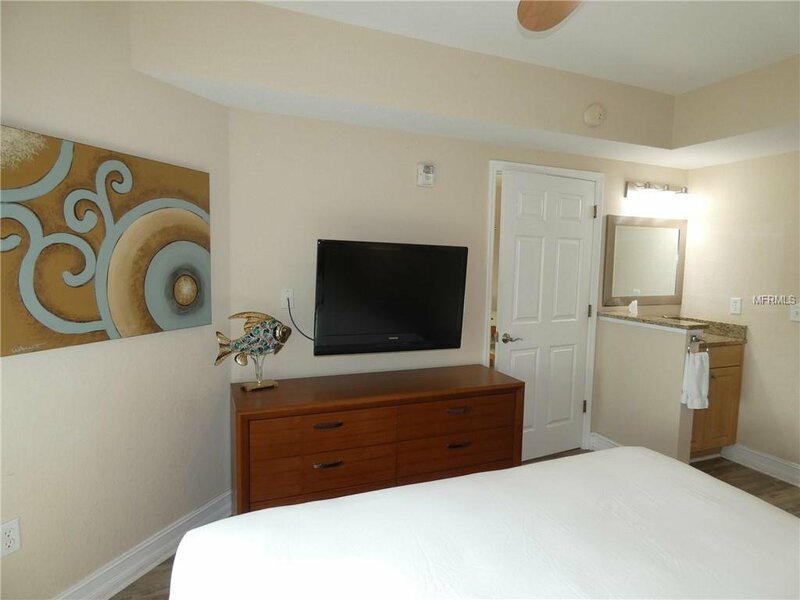 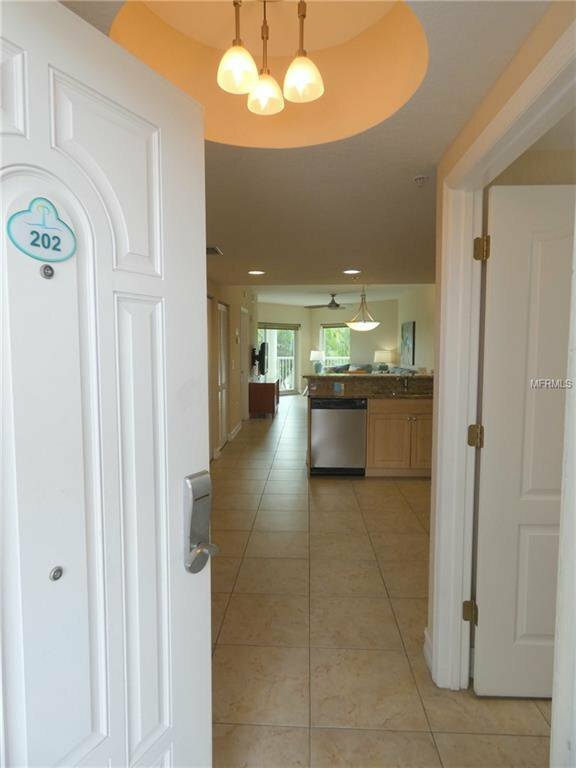 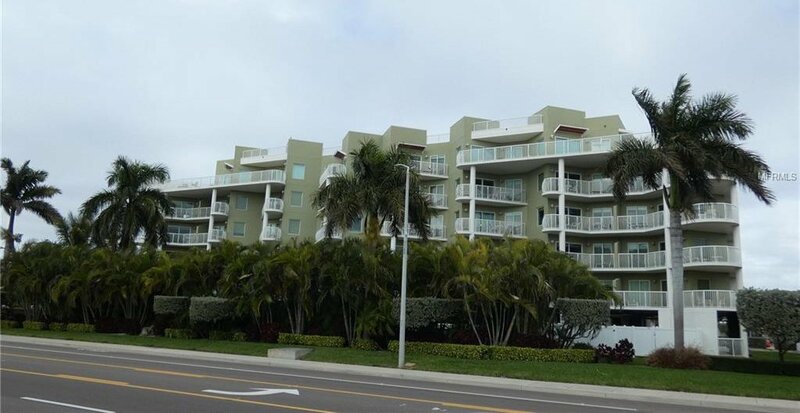 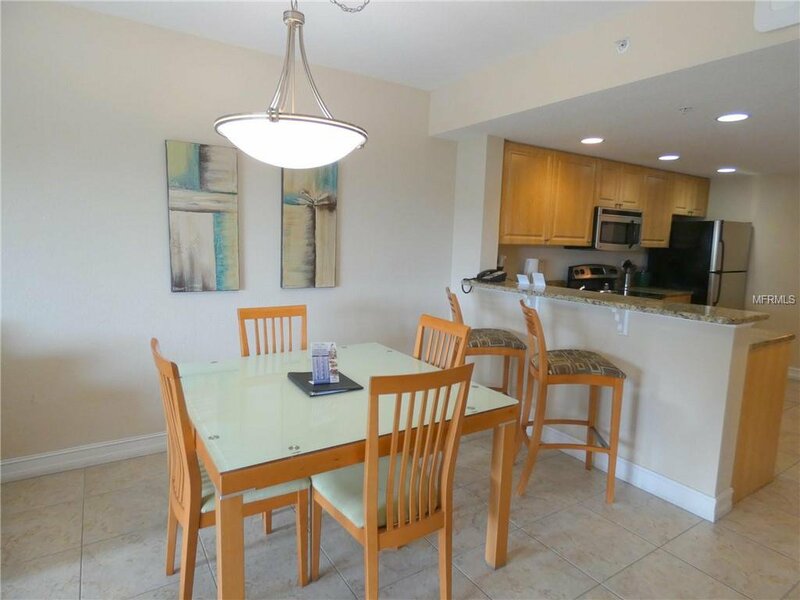 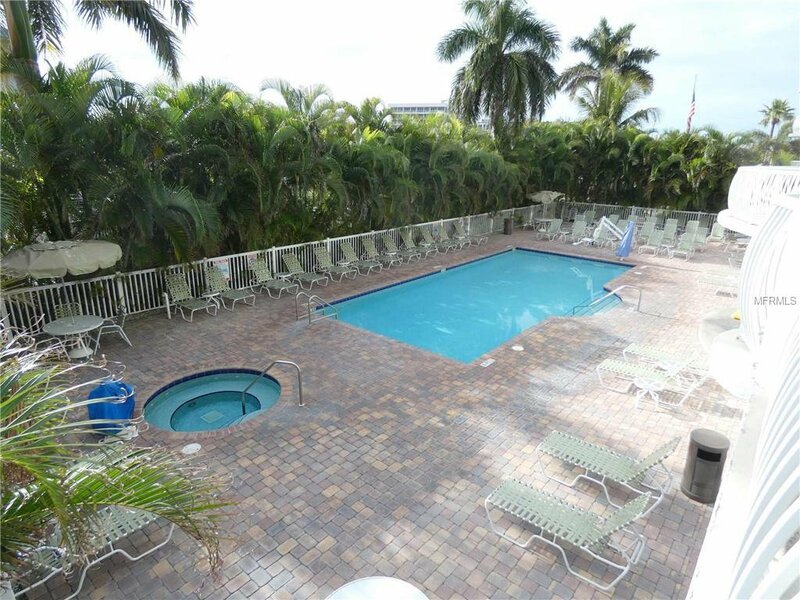 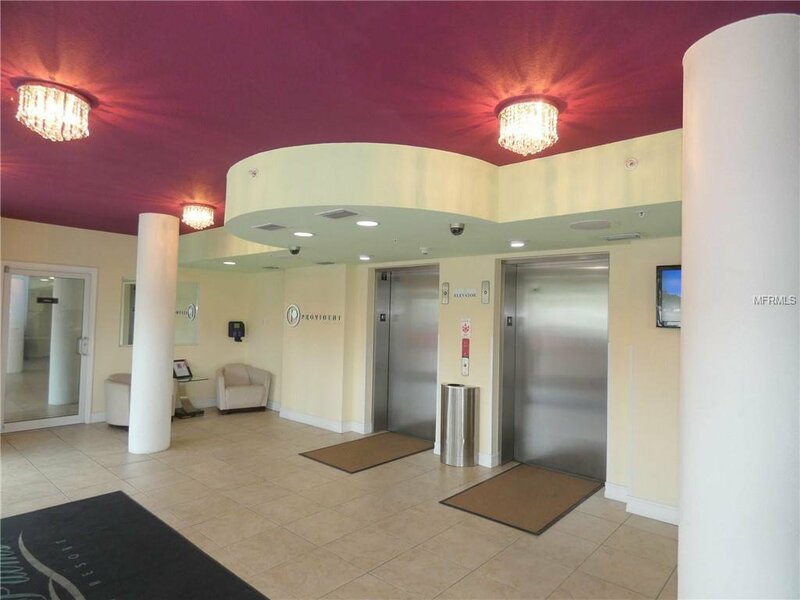 This condo hotel property is perfect for living the vacation lifestyle, while also generating income. 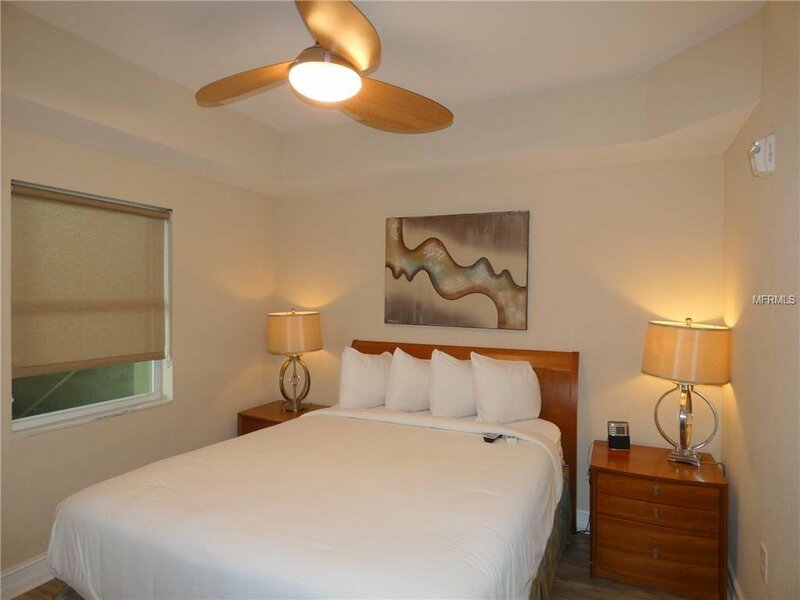 The unit has recently been updated with new flooring, living room furniture, including a sleeper sofa, and art work. 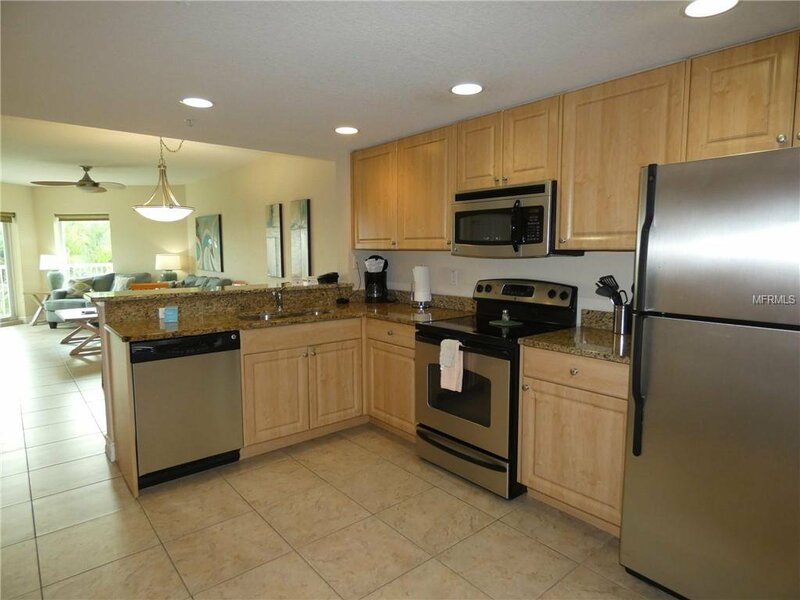 The spacious kitchen includes granite counters, stainless appliances and a breakfast bar for added seating. 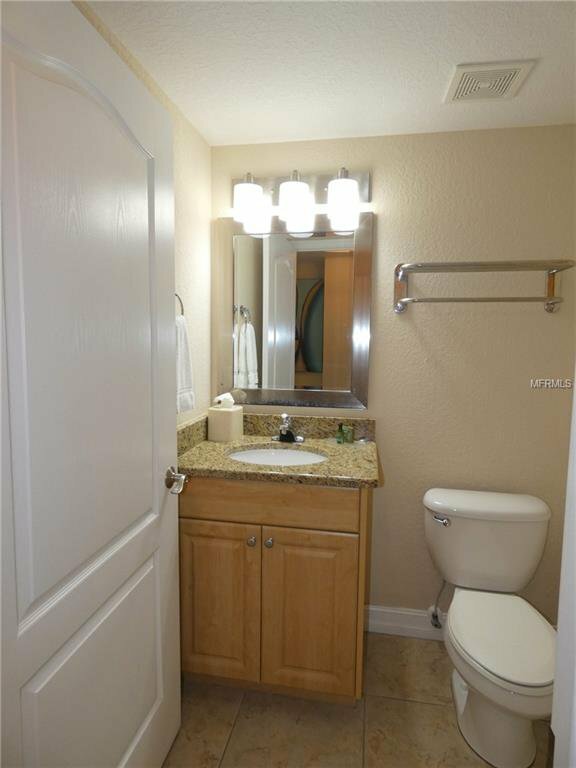 The unit is also equipped with a stack washer and dryer for extra convenience. 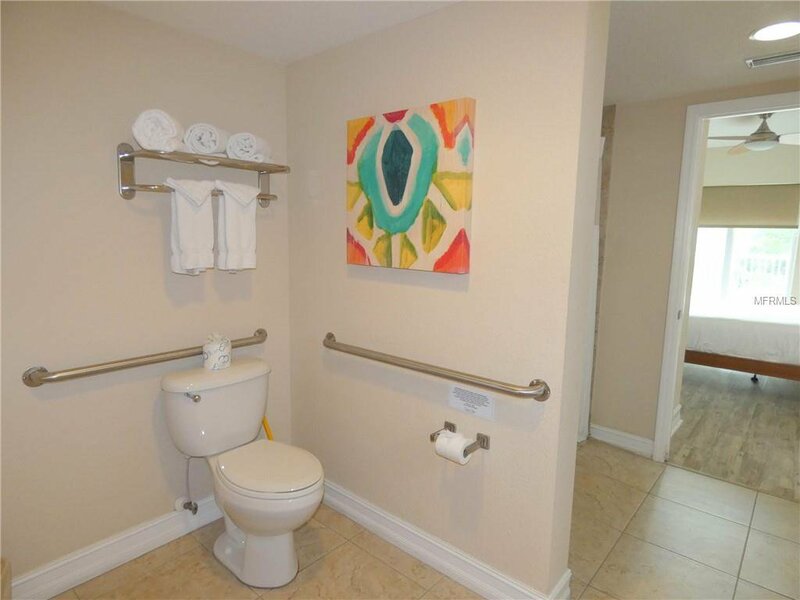 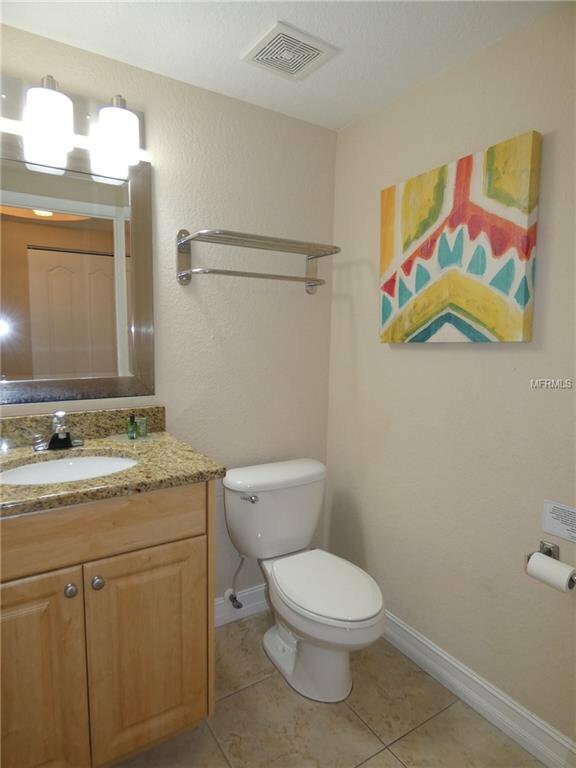 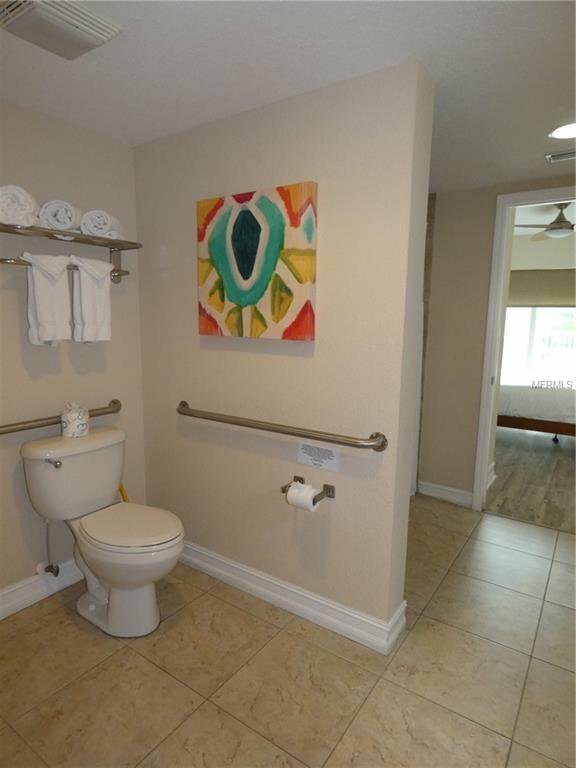 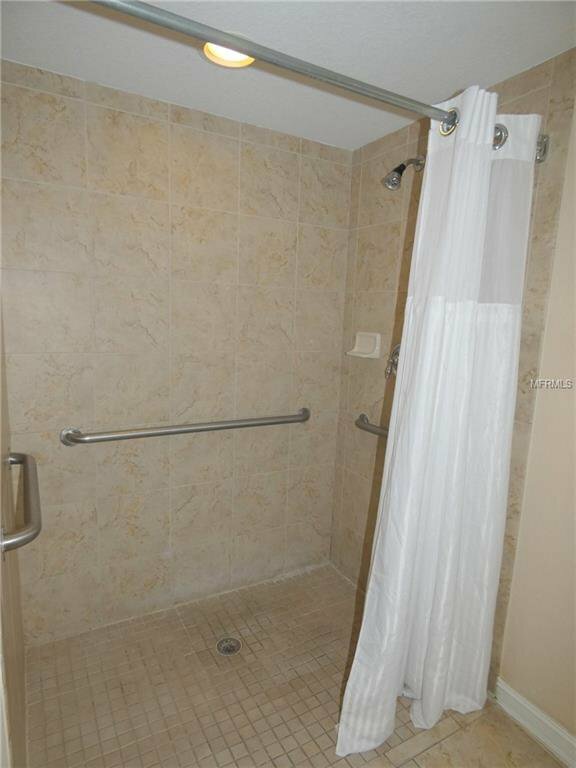 And this condo features handicap accessibility, with a generously sized bathroom and large shower area. 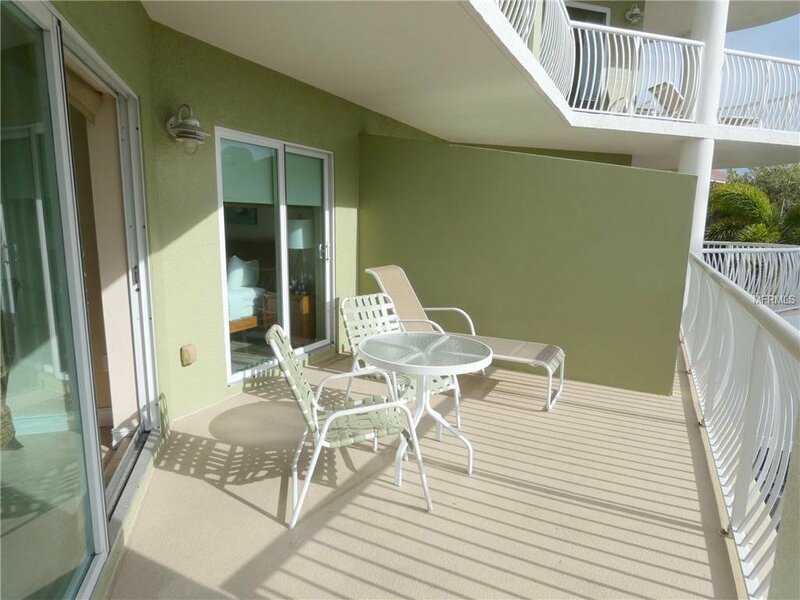 There is onsite property management for easy booking and rental availability. 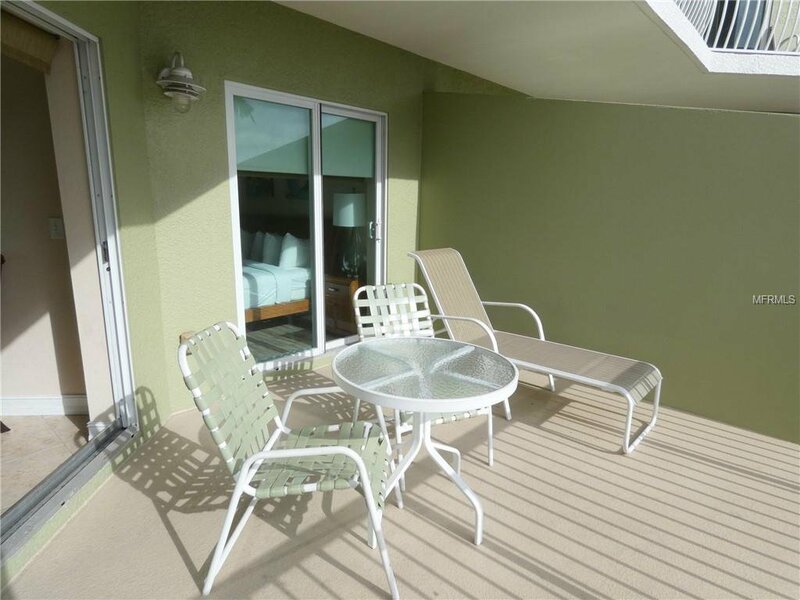 The balcony, accessible from the living room and master bedroom, overlooks the heated pool and spa. 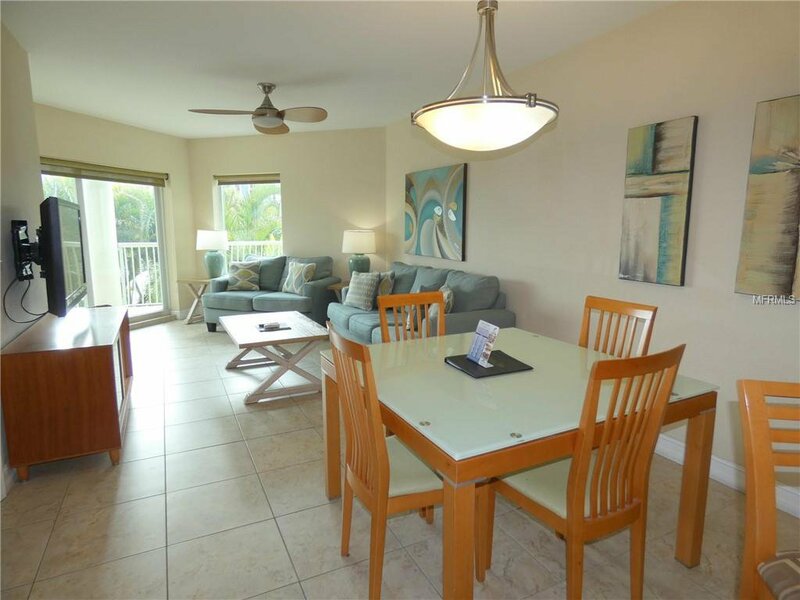 Walk to restaurants and shopping and enjoy the many activities on Treasure Islands beautiful beaches.